Take the time to check out all of our pages and then TAKE THE NEXT STEP! Request more information on our Knoxville bartending school or call us today and we will show you how you can get started in your new bartending career! Have you ever looked around an Eastern Tennessee bar, curiously envying the happy bartenders having a great time while raking in gobs of money? Did you wonder how they learned the skills necessary to pour drinks so quickly, remember all those recipes, and keep their cool all at the same time? How did they get there? Could I learn to do that? Bartending in the Knoxville area can be a tough world to break into. Corner bars with on-the-job training are few and far between. Today's customers are more educated and sophisticated than ever before. They come from all over the world, they know about wine, they enjoy the scene and they have become more demanding. Our school has created bartending programs to answer the demand for professionally trained bartenders. We provide bartending education, organizational skills and customer service training. All of our graduates receive ServSafe alcohol awareness training by the National Restaurant Association. We then follow up your training with a proven job placement assistance program. 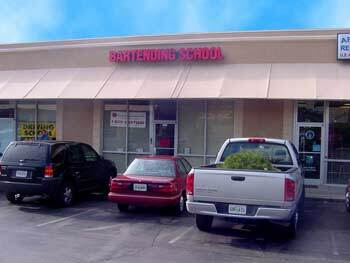 The Professional Bartending School of Knoxville is authorized for operation as a postsecondary educational institution by the Tennessee Higher Education Commission. In order to view detailed job placement and completion information on the programs offered by the Professional Bartending School of Knoxville, please visit www.state.tn.us/thec and click on the "Authorized Institutions Data" button. If you have any questions about our bartending school, please feel free to contact us by phone or email and we will be happy to answer your questions.